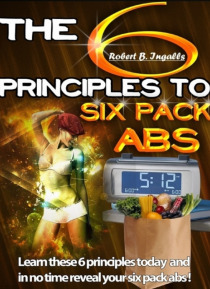 IHG® Rewards Club - eBook - 6 Principles to Six Pack Abs: Learn These 6 Principles Today and in No Time Reveal Your Six Pack Abs! 6 Principles to Six Pack Abs: Learn These 6 Principles Today and in No Time Reveal Your Six Pack Abs! This powerful information in this book will provide you with everything you need to know to be a success and finally achieve your dream of shedding the tummy fat and reveal your six pack abs. Making weight loss promises to yourself is easy but making them stick is something else which requires much more than just some words and thoughts. In the quest to make weight loss resolutions that eventually… see some level of success there needs to be some careful planning and thought exercised beforehand. This book could be the most important book you will ever read. Make no mistake about it because if you do not equip yourself with the right knowledge, you will end up going round in circles and waste tons of money searching for the magic pill to six pack abs (even more than the price of this book by 10 to a hundred times, in fact!). But the fact of the matter is, there is NO magic pill to six pack abs. Just knowing the principles and foundation to how to get a six pack abs.